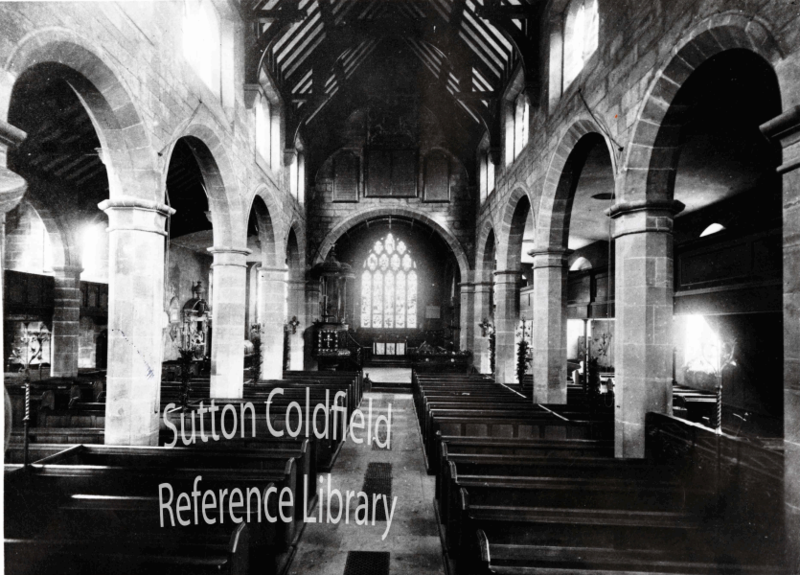 Sutton Parish Church consisted of a chancel, a nave and a tower until Bishop Vesey added to its beauty and seating capacity by building two handsome aisles. The original north and south walls were replaced by a series of large Romanesque arches supported on pillars. These arches are similar in style to those of a church in Paris which Vesey is supposed to have admired - he would have wanted the best quality work for his native town’s church. Churches need to be maintained - a feature of many parish churches today is an appeal for funds for a restoration project - and Sutton Parish Church was in need of repair in the 1730s. In 1734 the Warden and Society voted funds for “new pewing and amending”, although nothing much was done to judge by later events. On August 8th 1745 the Warden and Society agreed that “the roof of the parish Church (which is now very much decayed) shall be substantially repaired and amended out of the moneys belonging to this corporation”. In August 1758 the pews needed renewing again, and on November 2nd that year the Warden and Society resolved that trees to the value of £657 be felled in the Park. The money raised would pay for the seating and improvement to the inside of the church according to a plan by Mr. William Hyrons. In May the following year part of the church collapsed, and a special meeting of the Warden and Society was called on the 14th “to consider how the breach of the Parish Church must be made up again - it being supposed to be done by the carelessness of the men employed by Mr. Hiorns in making preparation for the new pewing”. The Chancel was to be adapted as a temporary church. At the June meeting it was conceded that they had been too hasty in blaming the workers, and that the collapse was due to poor foundations. More trees were felled, and Mr. Hiorns’ accounts were finally settled in September 1761. The repairs entailed the rebuilding of all the arches and pillars, using sandstone from a local quarry. The arches were modelled on the ones put up by Bishop Vesey, but with much larger pillars - if Vesey’s men had made better foundations, perhaps his more graceful pillars would still be standing.